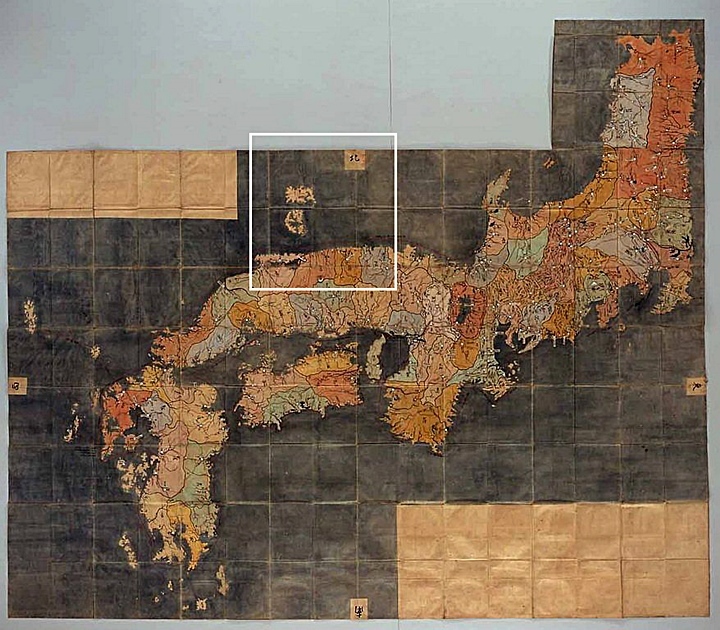 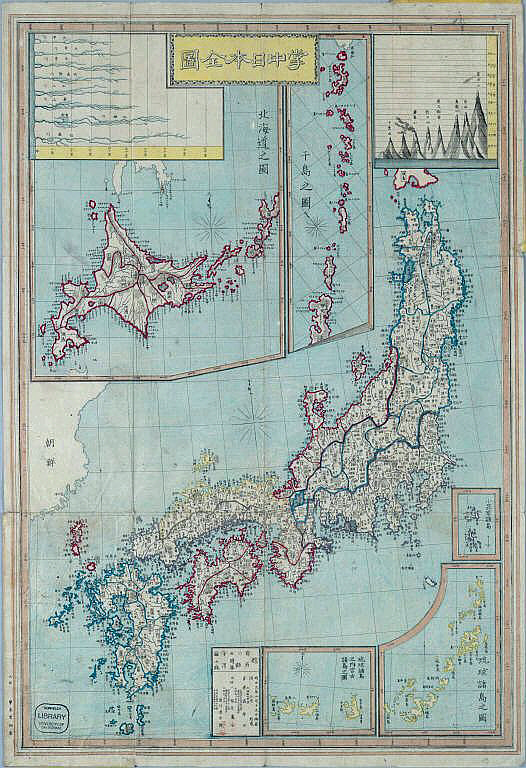 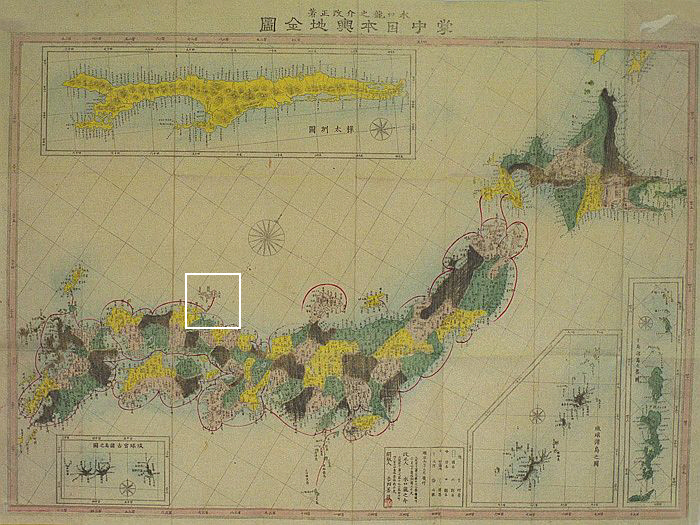 Assorted Japanese Historical Maps of Japan Without Dokdo – Takeshima. 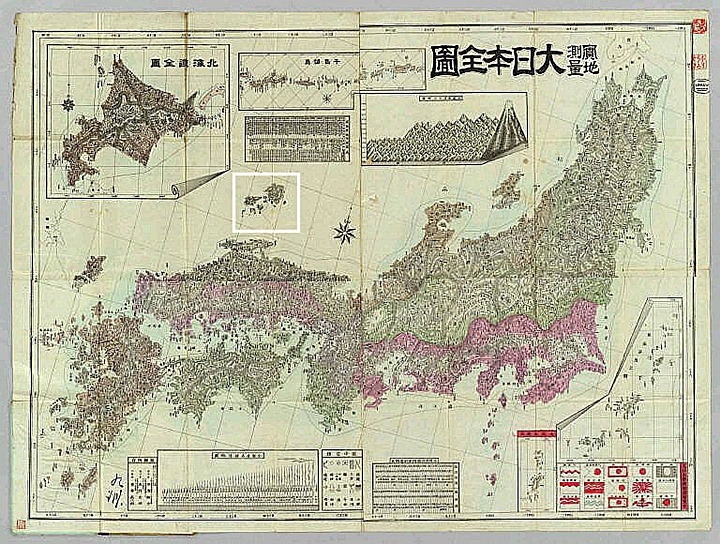 Above left: An 1899 map by Nogiwa Kaoru without Dokdo and Oki Island boxed in white. 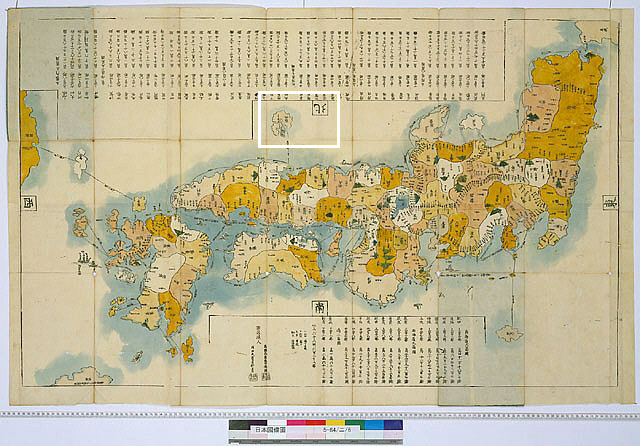 Above right: In 1893 this map by Izawa Komakichi excluded Dokdo. 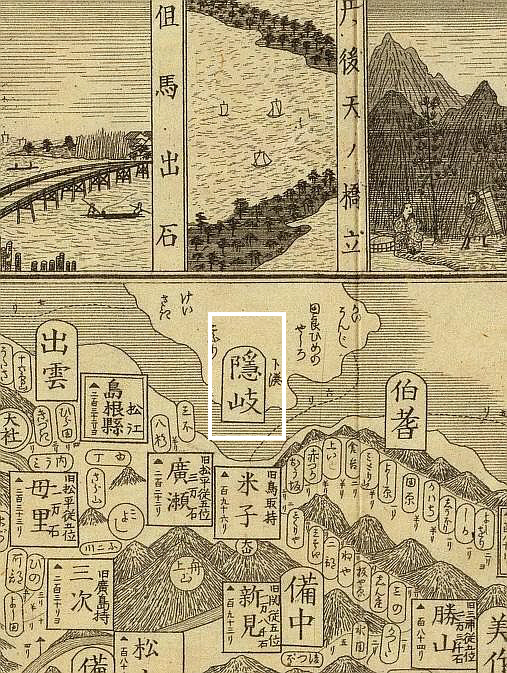 Above left: An 1876 map places appended maps where Dokdo would be located. 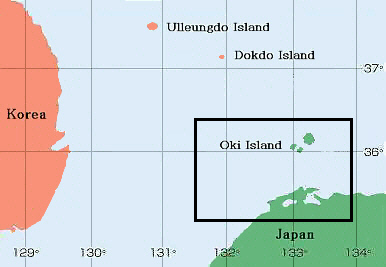 Above right: Naimusho Chirikyoku also placed Dokdo under an appended map of Hokkaido, thus Dokdo was thought to outside of Japanese territory. 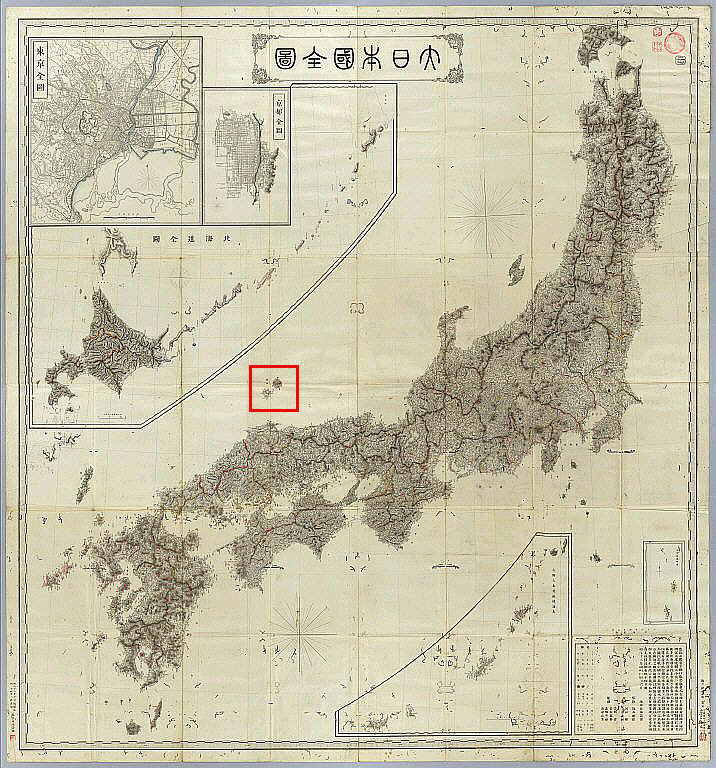 Other Miscellaneous Japanese Historical Maps Without Dokdo – Takeshima. 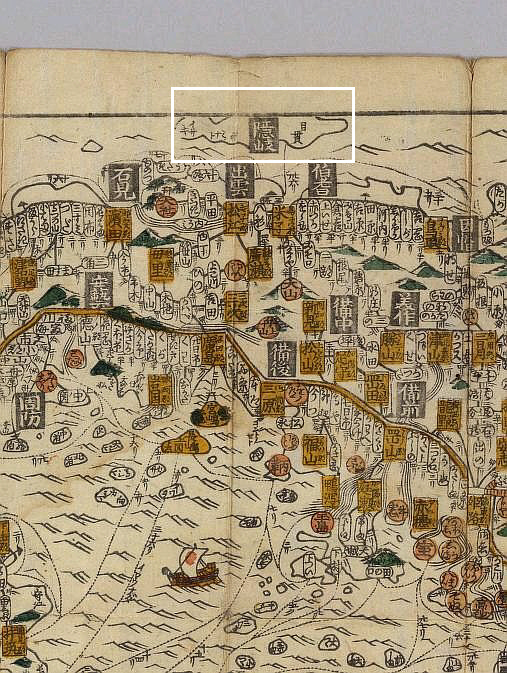 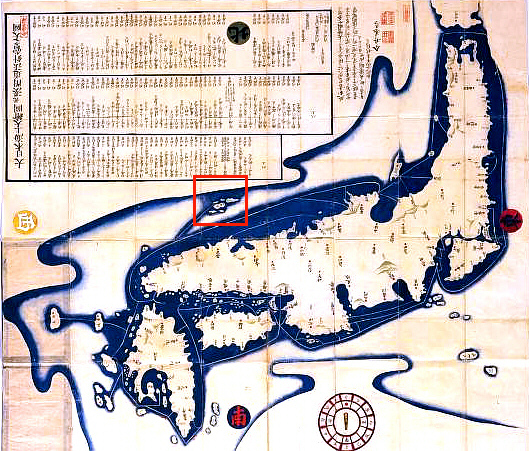 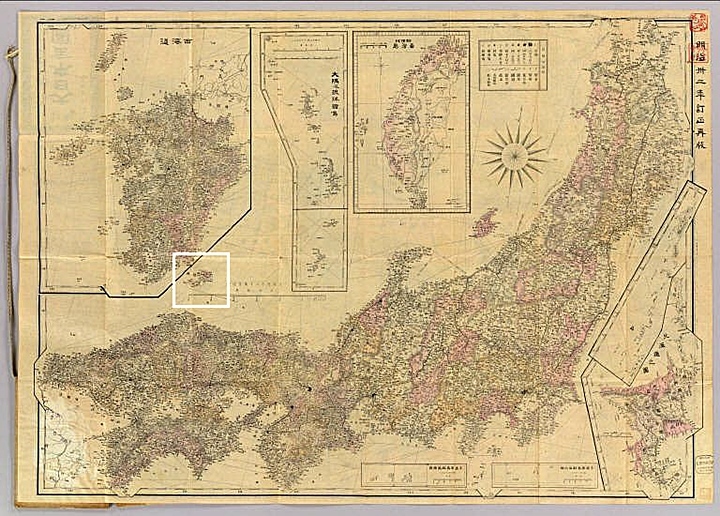 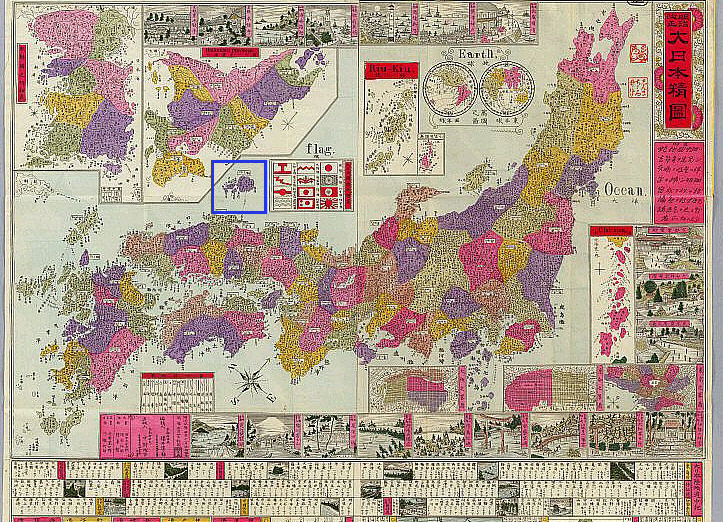 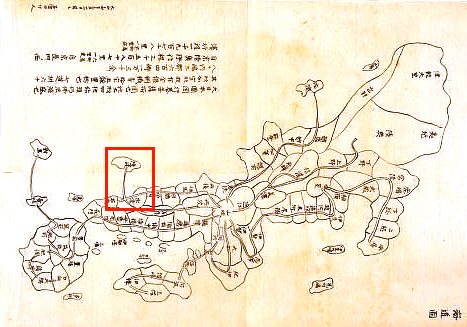 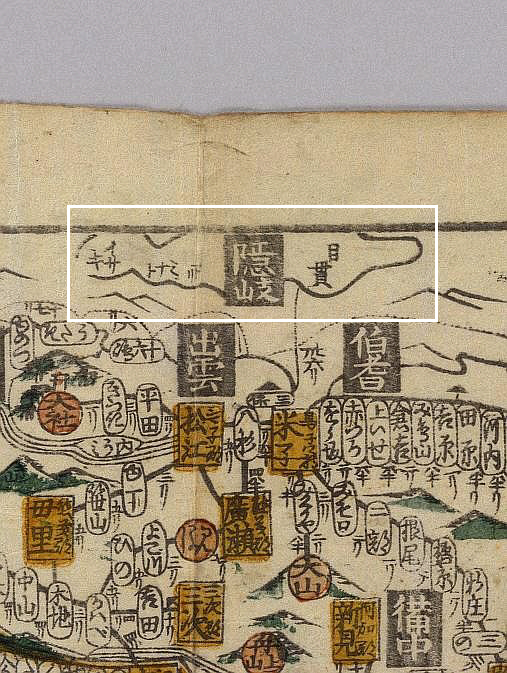 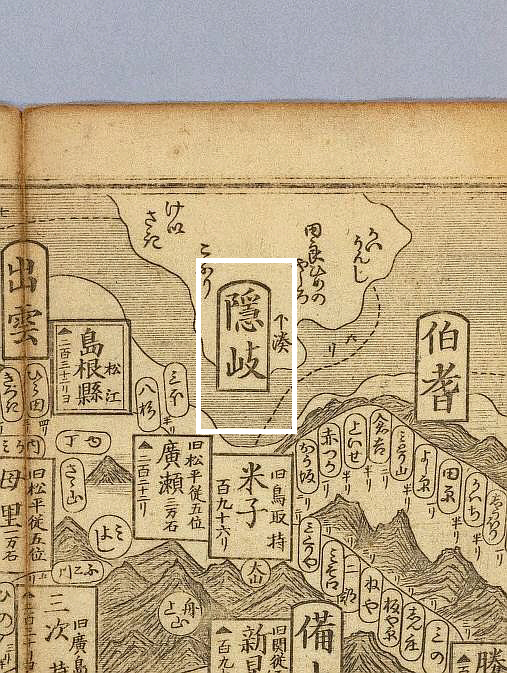 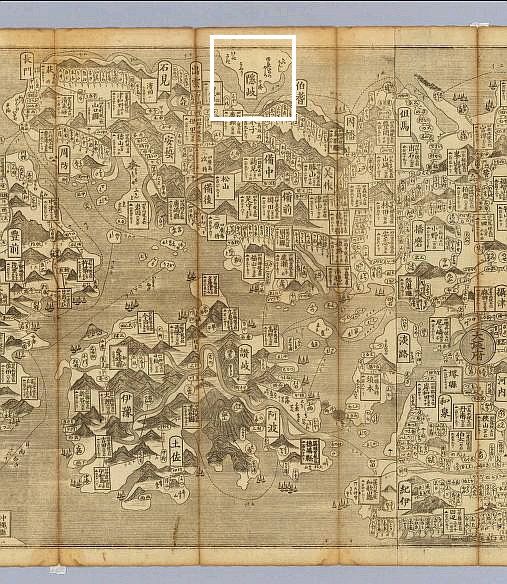 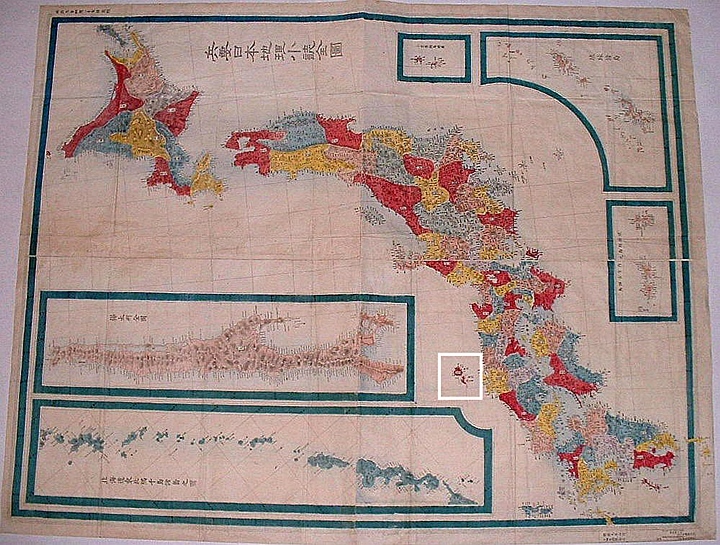 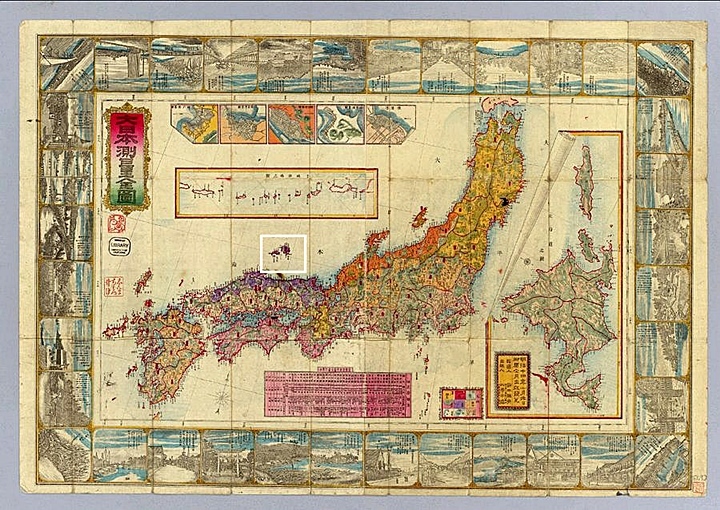 Above left: An 1867 Japanese map with Oki Island boxed (隱岐) shows neither Ulleungdo or Dokdo Island. 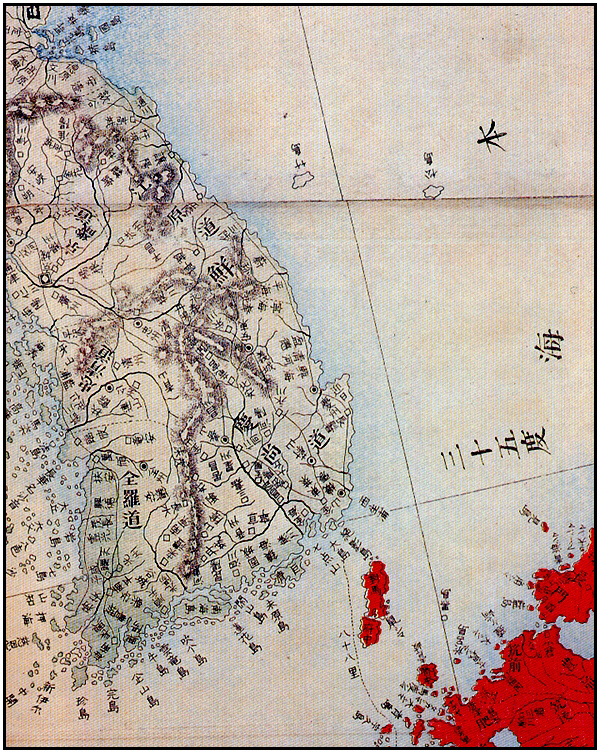 Above right: This 1882 color-coded map shows both Ulluengdo (竹島) and Dokdo (松島) were not red-colored and thus not part of Japan but rather Korean land. 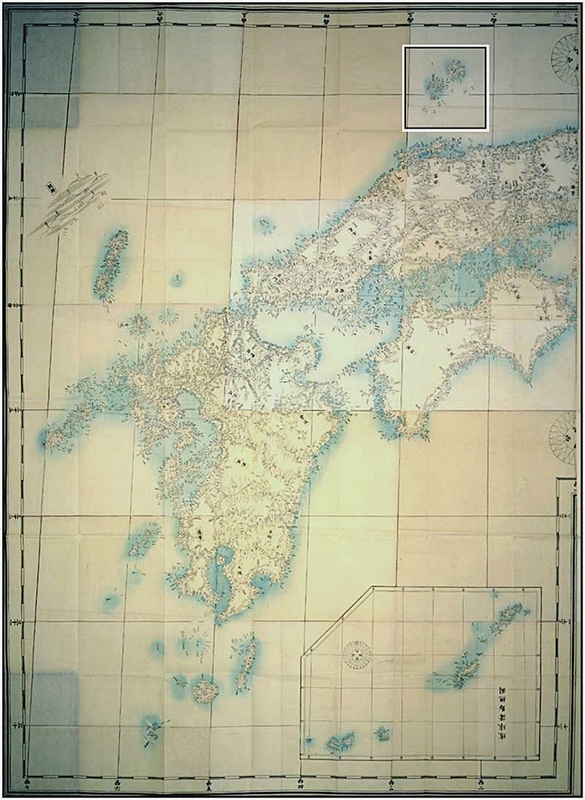 The following charts are Japanese historical maps with first an overview, then a general view and finally a close-up of the Oki Island region showing this region to be Japan’s territorial limit throughout the ages. 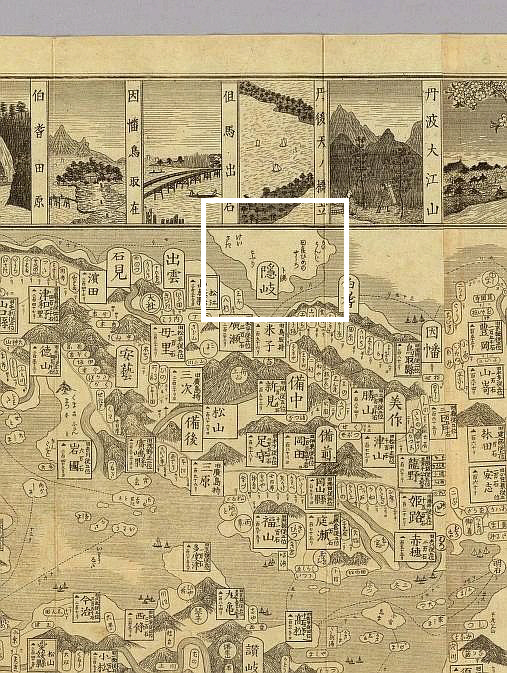 The bottom two images of each group are clickable for higher detail.